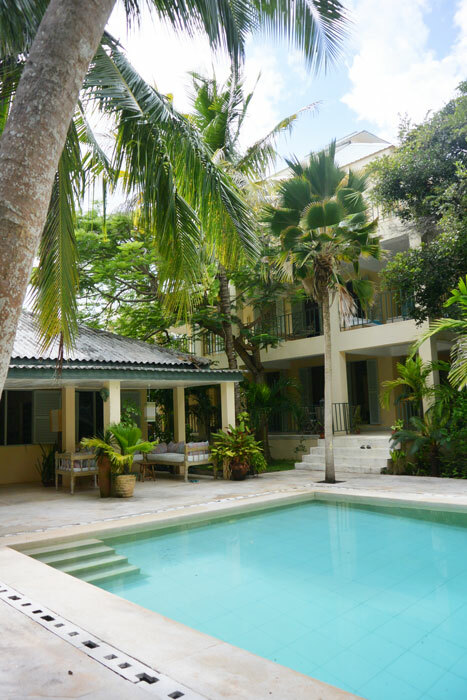 Siena House is a spectacular 5 bedroom family house set over four floors with a swimming pool and two bedroom guest cottage (Siena Cottage). Access to a particularly peaceful stretch of Turtle Bay Beach is via a private path through the forest (approximately 10 minute walk). The ground floor is a light an airy, open plan area with a fabulous comfortable seating area at one end and a large dining table at the other. The spacious, well-equipped kitchen is just off the dining area. 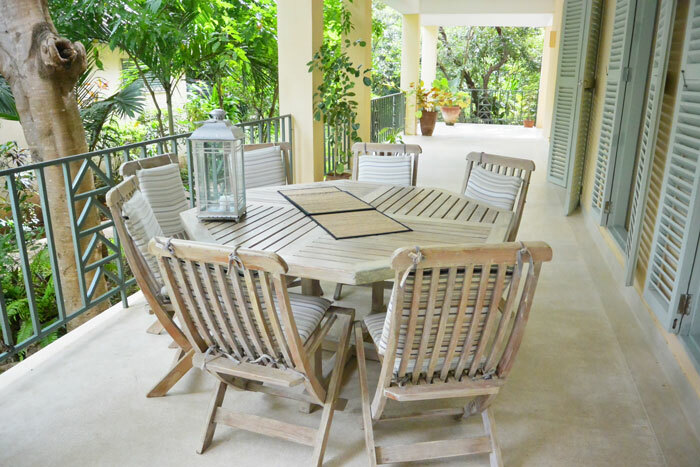 A terrace outside the living area overlooks the swimming pool and cottage. A magnificent stair case leads up to the first floor where 3 of the bedrooms are located. 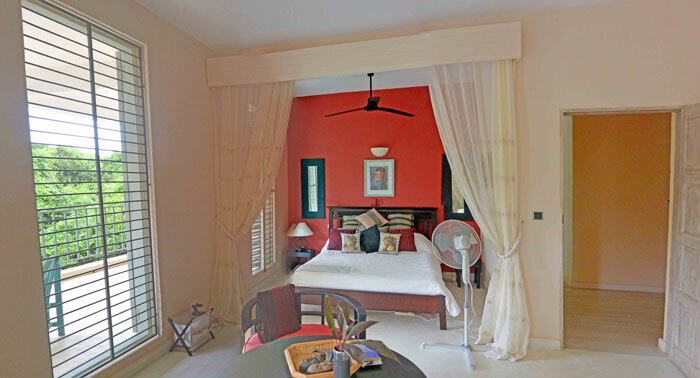 The master bedroom is a double with large ensuite bathroom and a long terrace outside overlooking the indigenous forest. The 2nd Bedroom has an ensuite shower room and the third leads out onto a further terrace which is positioned to overlook the pool and take advantage of the sunsets. 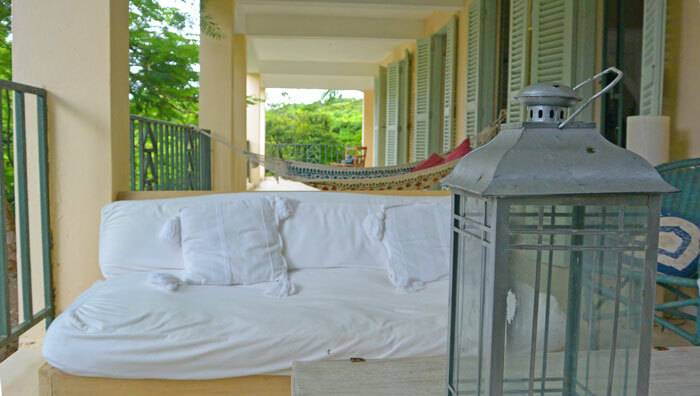 On the floor above are two further bedrooms, and another long terrace with swing chair from where to relax and drink in the views. As if this isn't enough, another set of stairs takes you up a floor where there is a bar and open terrace with yet more fabulous comfy seating, and for the intrepid amongst you there is a final trip up one floor to a tower from where you can have 360 degree views around the Watamu area and from where you can see the sea over the top of the forest. 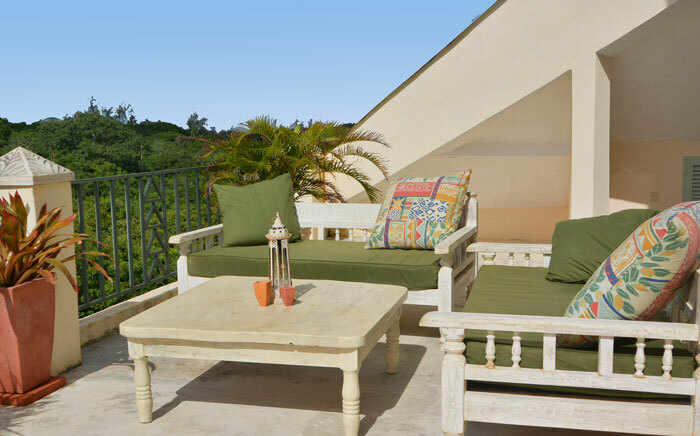 Adjoining Siena House is a cosy two bedroom bungalow with a covered terrace stretching the length of the house overlooking the swimming pool. 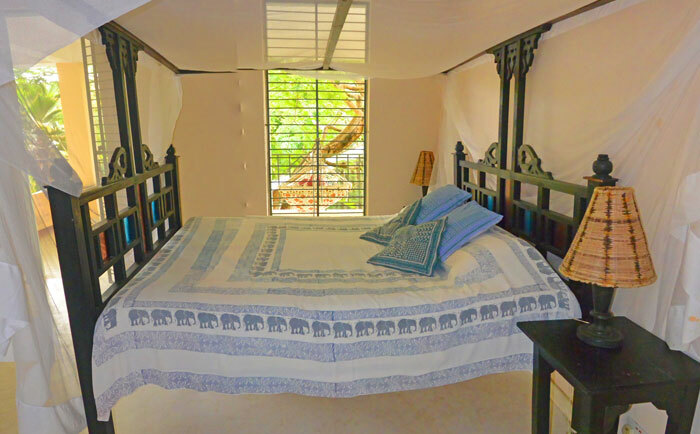 Both bedrooms have overhead fans and mosquito nets and ensuite bathrooms. The kitchen opens into a small living area which in turn opens onto the covered terrace with plenty of seating. The property is staffed including an excellent cook, G4S Security buttons and a night watchman. It can sleep up to 10 guests in the main house or 14 including the cottage. 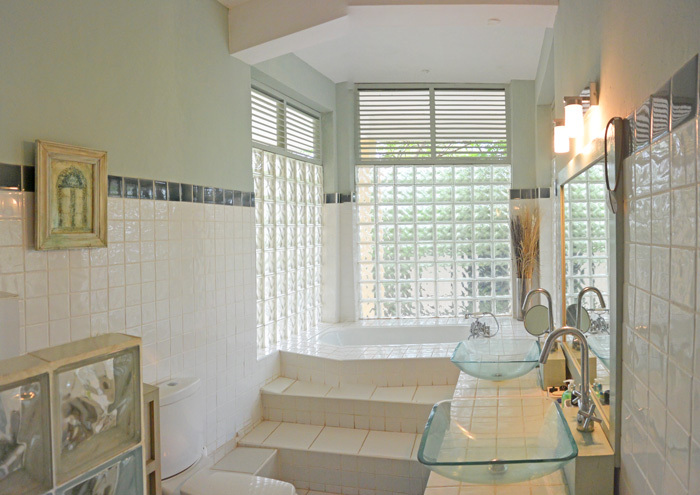 MASTER BEDROOM Double Mosquito net – overhead fan – stand fan – ensuite bathroom with bath and shower – sitting area and private terrace. 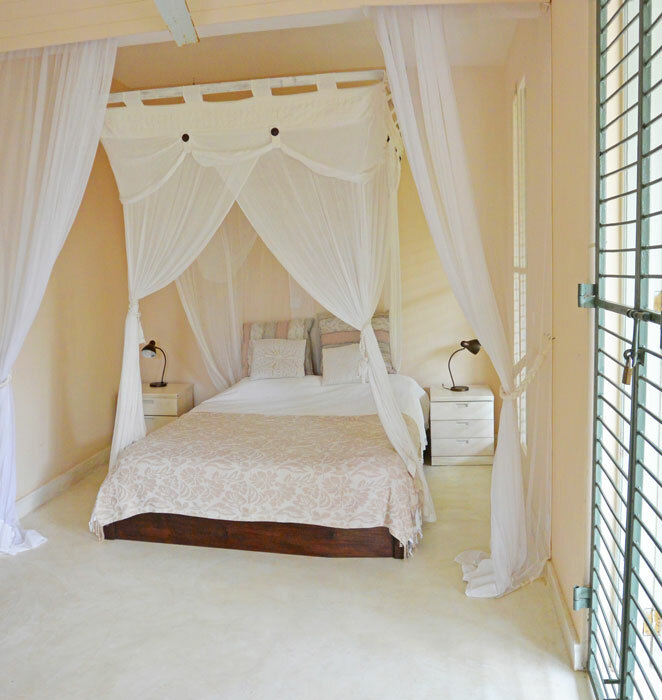 BEDROOM 2 Double Mosquito net – stand fan – overhead fan – ensuite shower bathroom. 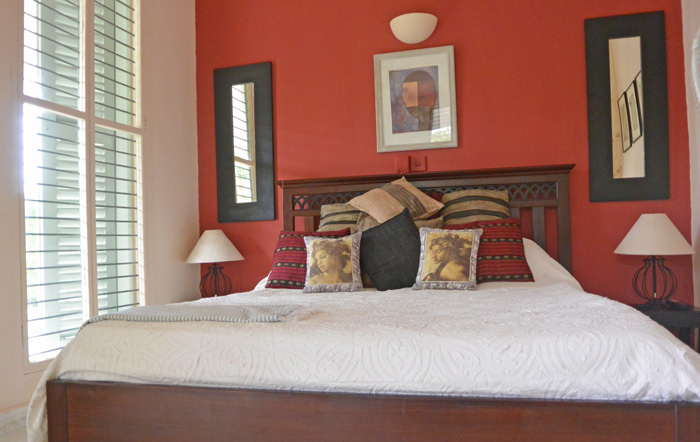 BEDROOM 3 Double Mosquito net – stand fan – overhead fan sundowner terrace overlooking pool – bathroom not ensuite.